What Is a Foraminotomy Procedure? When it comes to your spine, what’s causing you terrible pain also comes with an equally horrifyingly named procedure to fix it. A foraminotomy procedure is one such example. But the relief is worth learning how to pronounce it — which, by the way, is fōr′am-i-not′ŏ-mē. The procedure takes the pressure off the nerve in your spine that’s causing your excruciating pain. 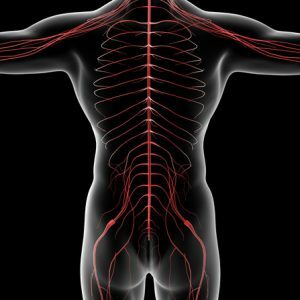 Nerves pass from your spinal column to the rest of your body. These nerve bundles become compressed in the passages between the bones of your vertebrae. While that may sound complicated, it’s really simple. Basically, your spinal cord serves as a kind of super highway conducting your nerve endings to all the various parts of your body. If there’s an accident anywhere along the way, the superhighway backs up traffic and you feel it as pain. The difference is that a foraminectomy is a much more invasive procedure. Both of these procedures result in opening up the spaces from which the nerves exit your spinal canal. It’s like when police clear the vehicles from the road, opening up the highway to traffic to get things moving again. The opening in your spine is called a foramen. It’s created when a space is left between the vertebrae above and the vertebrae below. A narrowing of this opening is called foraminal stenosis. This narrowing can happen on the outside or inside of the vertebrae. Any time the nerves coming through the foramen become squeezed or pinched, a foraminotomy procedure can help. For a foraminotomy procedure, you lie on your stomach. You’re usually put under general anesthesia. A midline incision is made over the affected area. This usually only requires a single inch incision, but varies case by case. The opening allows your spine surgeon access to your spine without damaging any of the underlying muscles, ligaments or soft tissue. After reaching your spine, your physician either shaves or cuts away the bone or disk material that’s putting pressure on your nerves. This procedure gives your nerves the room to pass so they won’t cause you pain and discomfort. In more severe cases, it may be necessary for your surgeon to remove the entire disk or vertebrae, although this is rare. If it happens, your doctor uses either artificial material or a graft for reconstruction. Your recovery depends on the extent of your procedure and other variables. Sometimes, additional surgeries may be called for in conjunction with the foraminotomy. Your physician may even want to fuse your spine to promote strength and stability. When finished, your surgeon closes the incision, and you’re on the road to recovery. This is normally a minimally invasive procedure, but even in worst cases, you should be driving again by the end of the week and back to work in a month. A foraminotomy is an outpatient procedure, so you’re able to leave the hospital the same day and recover at home. The objective of this surgery is to treat the cause of your back pain and provide lasting relief, instead of simply managing symptoms. Foraminotomy procedures have high success rates, leading to complete relief of your back pain. But as many sufferers of chronic back pain can tell you, even partial relief can be a drastic improvement to your overall quality of life.